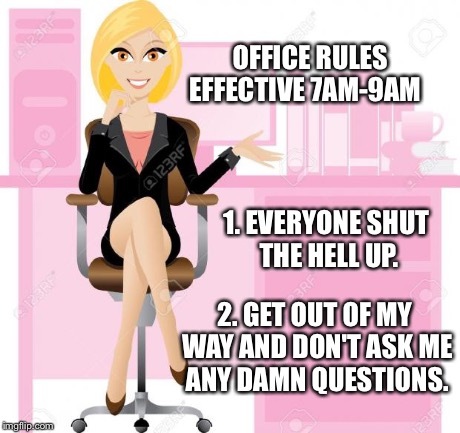 OFFICE RULES EFFECTIVE 7AM-9AM 1. EVERYONE SHUT THE HELL UP. 2. GET OUT OF MY WAY AND DON'T ASK ME ANY DAMN QUESTIONS.